Epidural Injections for Back Pain: Good or Bad? Epidural Steroid Injections (ESIs) are commonly used for treating pain in lower back and sciatica. They have been used since the 1950s and have become an important part of non-surgical pain management for back pain and sciatica. For many patients, the injections are enough to relieve the pain. 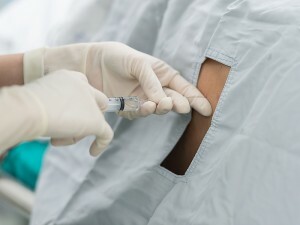 But as in any pain management treatment, there are pros and cons to epidural injections. How Long Does an Epidural Injection Last? The effect of an epidural injection can range from temporary or can last from a week to even a year. For patient with an acute episode of back pain or leg pain, an epidural injection can provide immediate pain relief. 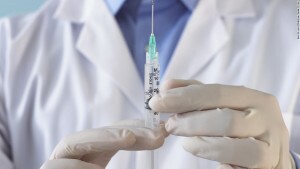 Typically, three injections are used on a patient who finds relief with the first shot. Most pain doctors require 4-6 months between each injection. With painkillers and steroids, the relief is not easily focused. With Epidural Steroid Injections, the exact area is targeted. Patients know right away if the injection is working. Back pain is mostly caused by chemical inflammation, which also leads to swelling in the affected area. Epidural Steroid Injections flush out the harmful chemicals like inflammatory proteins,, while significantly relieving the pain and swelling. What Is the Success Rate of Epidural Steroid Injections? The success rates of the epidural injections are always dependent on a patient’s condition and the level of pain they have. The benefits provided by Epidural Steroid Injections are substantial. When properly done using x-ray or fluoroscopic guidance, over 50% of patients suffering from back pain reported pain relief. What Are The Side Effects Associated With Epidural Steroid Injections? Headaches that go away after 24 hours. A high level of blood sugar. In the end, only a patient can decide if Epidural Steroid Injections are the best option for relieving back pain. Contact us today at 646-862-5555 to learn more about ESIs and to schedule an appointment with the best back pain doctor in NYC.